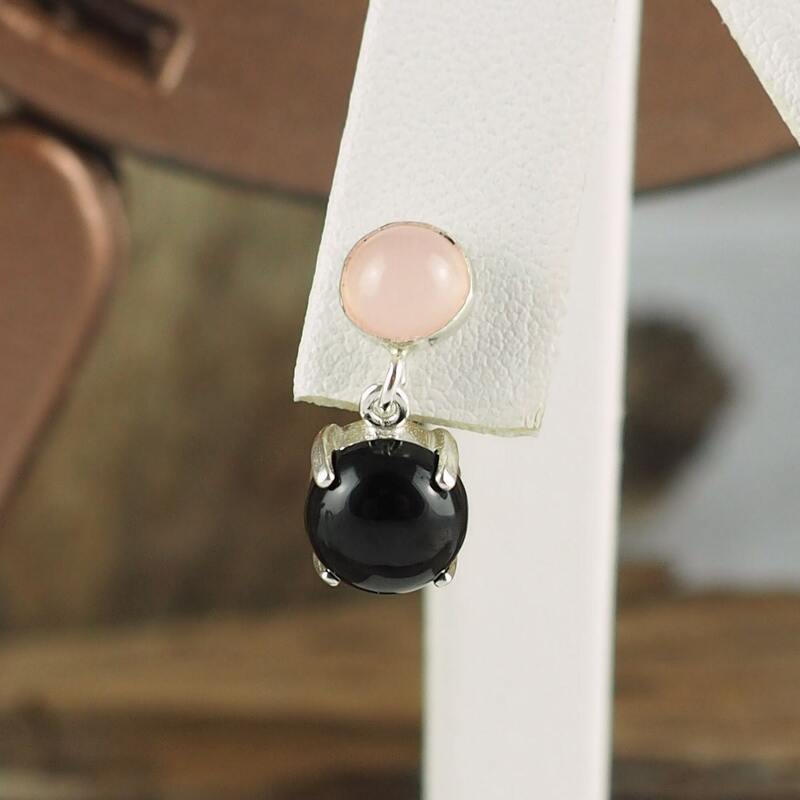 Silver Earrings -Rose Quartz Earrings -Black Onyx Earrings -Dangle Earrings-Drop Earrings -Boho Earrings: These eye catching sterling silver dangle earrings feature Rose Quartz and Black Onyx stones. 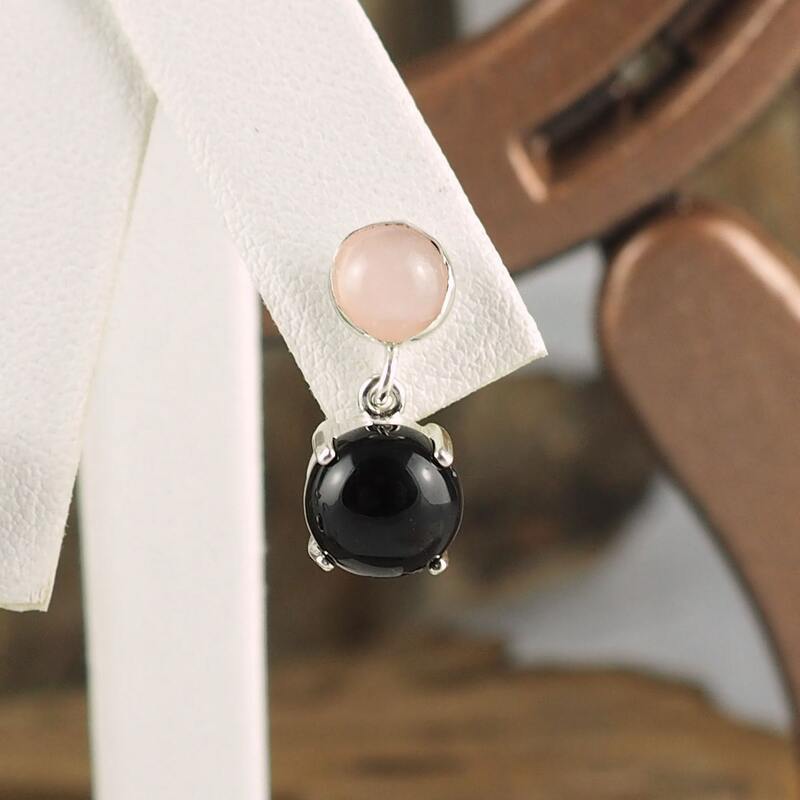 The Rose Quartz stones are 6mm (1/4") in diameter and the Black Onyx stones are 8mm (5/16") in diameter. All of these stones were shaped and polished in our work shop in Montana! 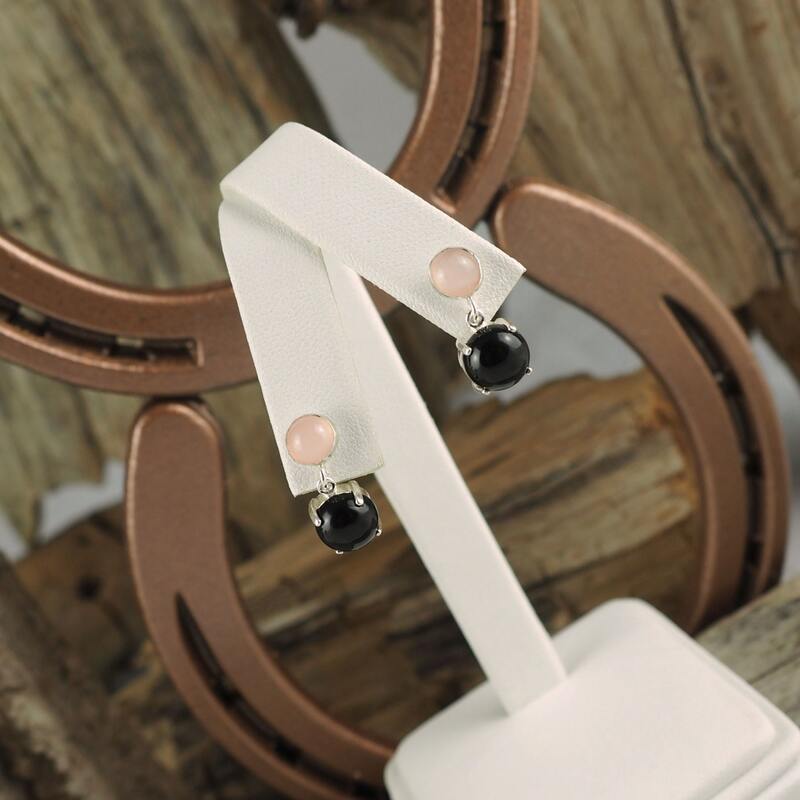 The pink and black color of these stones are classic together! The silver settings make the combination of both colors perfect. 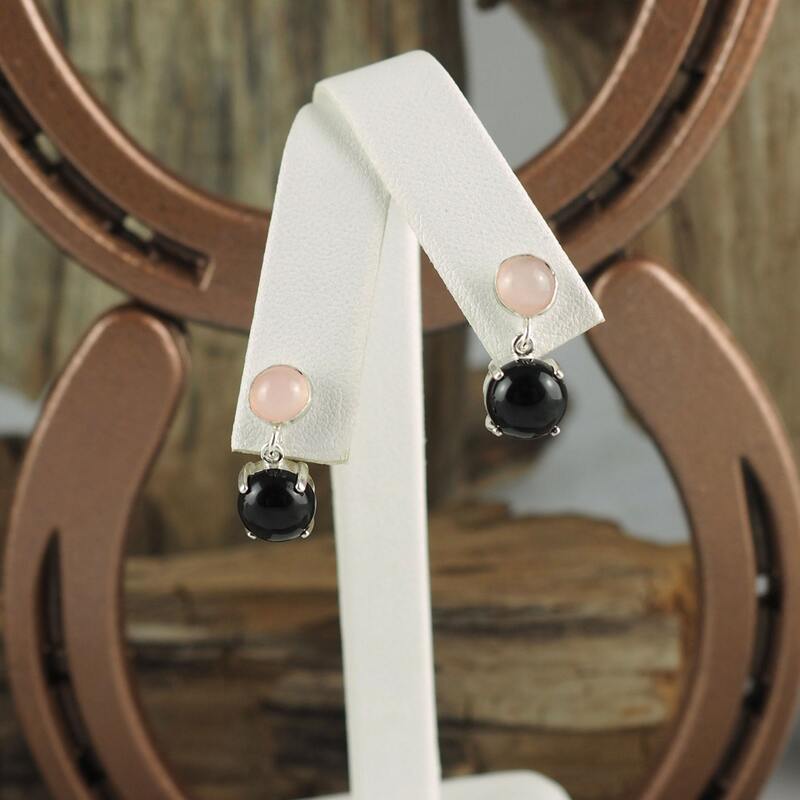 These earrings would really make a great present paired with one of our pendants so don't forget to check them out! 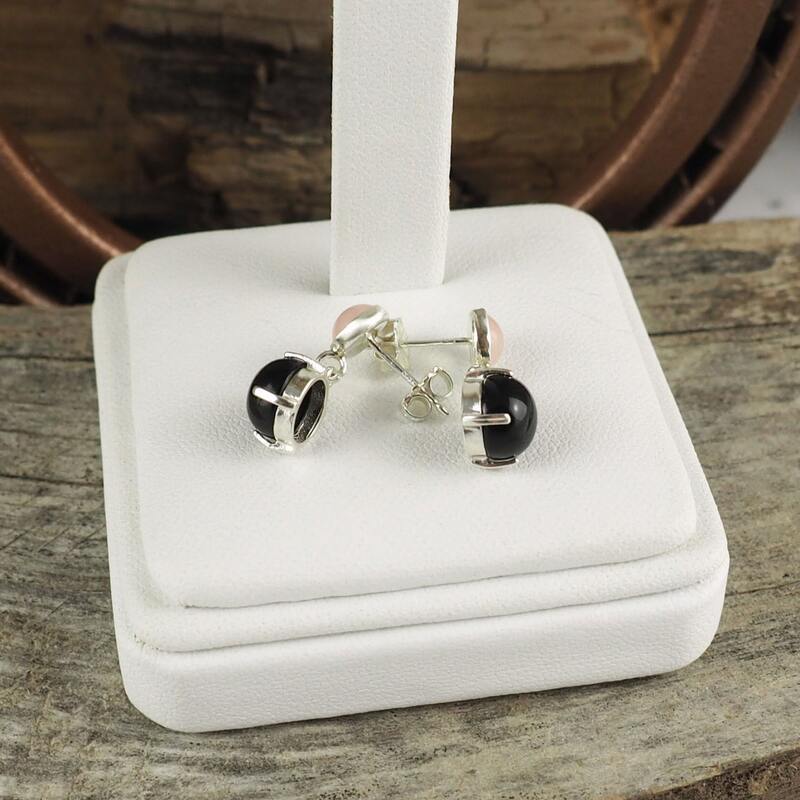 As with every pair of earrings we sell,we will ship your purchase in a beautiful gift box for no extra charge!